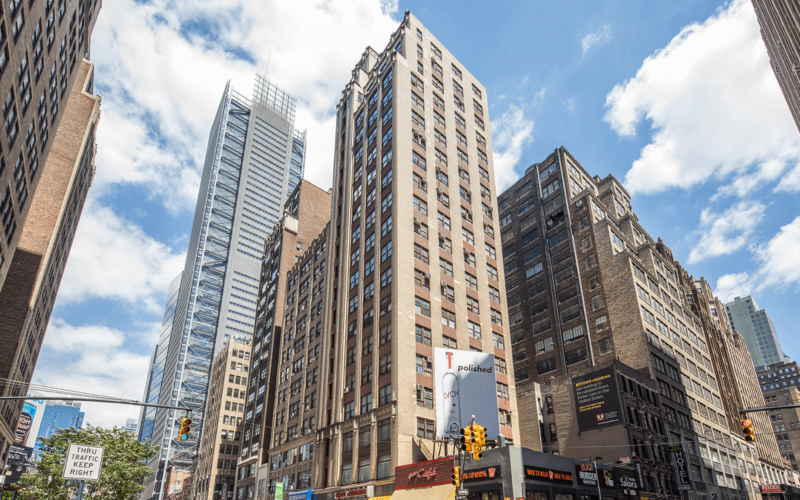 580 Eighth Avenue is a twenty-one story, 73,000 square foot office building on the east side of 8th Avenue, between West 38th and West 39th Streets. The building has a diverse tenancy, including fashion, construction, and design firms, and boasts exceptional light and air through its large windows, 11’ slab-to-slab ceiling heights, and column-free floor plan. Located just blocks from Penn Station, Times Square and the Port Authority, 580 8th Avenue provides easy transportation access via the 1, 2, 3, A, C, E, N, Q, R, W, S, and 7 trains. East End is managing a full upgrade and re-positioning of this property on behalf of a family office.